Call or Email the Board of Legislators. State that you oppose privatization and the Airport Master Plan. Stay informed on upcoming meetings and events by subscribing to our email list below or following our Facebook Page. Privatization would fundamentally change the relationship between the county and the airport to give the county a powerful reason to not only allow but advocate for expansion. Today, the airport’s profits stay at the airport for use on everything from repairs to security and environmental protection. 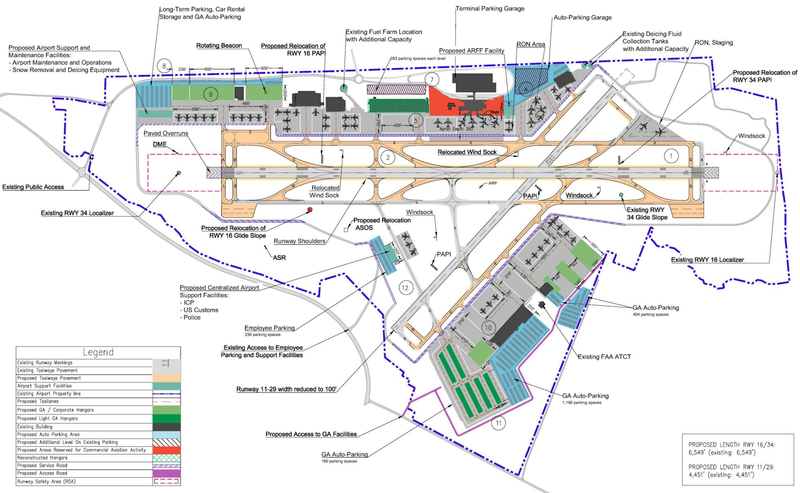 Growth of the airport doesn’t benefit the county’s budget. The current management company doesn’t benefit either, because it gets paid a fixed fee. With privatization, the winning bidder would get all of the airport profits. The county would then be paid a cut of those profits to spend on whatever it likes. But this would also give the county a direct financial incentive to pull as much money out of the airport as possible. Expansion, including by changing laws, would be one way to increase profits. Cutting costs on things like security or environmental protections would be another. And not only would the county be incentivized to increase profits, but the private operator would be as well. Today, the Board of Legislators is responsible for what goes on at the airport, and they are accountable to the public. Contracts at the airport are public records and are approved by the legislature. Airport records and environmental reports are available to the public. Any records that are not already public can be requested by the FOIL process. Depending on the terms of the lease, the next 30-40 years of decisions and operations at the airport could happen in private. If the county signs away its rights to oversee the airport for 30-40 years, it could well also sign away the public’s ability to determine what is going on right in our backyards. The airport’s location next to the Kensico Reservoir uniquely threatens our drinking water. The county has required the privatizer to maintain the airport’s ISO 14001 certification, but this does not require meeting any particular environmental standard. It isn’t hard to imagine that cutting costs on environmental protections to pursue profits would prove all too tempting for a private operator. If a privatizer pollutes the airport grounds or the reservoir and is unable to or refuses to clean it up, the county can turn to the privatizer’s insurance. Costs to clean up pollution are not covered by general liability insurance; businesses have to buy separate pollution insurance for that risk. But the county is requiring a privatizer to maintain only $5 million per incident and $10 million total of pollution insurance. Such a small amount wouldn’t be enough to clean up any significant spill into the Kensico Reservoir. And it wouldn’t begin to cover the cost of a filtration plant to treat the reservoir’s water, which could cost tens of billions of dollars – a thousand times more than what the county might make from privatization or what insurance might pay. If the privatizer or the insurer don’t clean up any pollution, county taxpayers will have to pick up the tab – or find a way to live with it. On the airline side, the road to profits through expansion are clear. More flights mean more landing fees & turn fees, and more passengers. More passengers means more parking and concession revenue. The Terminal Use Regulation limits the number and size of airline flights at the airport, but privatization would put in place the incentives for the county to amend or abolish the agreement. For private flights, profits would also come through expansion. Unlike with airlines, there is no law or regulation limiting the number of private flights, which already make up 85-90% of the airport’s traffic. The airport makes money by charging landing fees and fueling fees to arriving aircraft, but most of the money comes from rents charged to airplane owners and businesses catering to private planes. These rents could go up if more private planes, especially large private planes, use the airport. The airport already serves private planes as large as 737s – bigger than any operated by airlines there today. Under privatization, the incentives would be in place to aggressively market our airport to attract private traffic from other nearby airports like Teterboro in New Jersey. If all the flights at Teterboro came to Westchester, we would have double the flights we have today.